Half Way Between Heaven and Well … Heaven! The National Park Service is 100 years old this year. President Woodrow Wilson signed a bill 100 years ago directing the Department of the Interior “to conserve the scenery and the natural and historic objects and wildlife therein, and to provide for the enjoyment of the same in such manner and by such means as will leave them unimpaired for the enjoyment of future generations.” And so the National Park Service (NPS) was born. To celebrate its 100th birthday the NPS waived entrance fees for 16 days in 2016. The final two of these days are still to come – Saturday, September 24 and Friday, November 11 (Veterans Day). Death Valley National Park and Yosemite National Park, each uniquely distinctive and seemingly worlds apart in geography, ecology and climate, are only about 300 miles of driving distance apart. 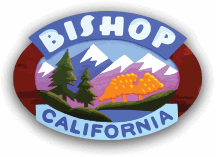 Situated almost midway along a spectacular stretch of highway connecting these two well-known and beautiful parks is Bishop, California. In fact the drive from boundary to boundary between the parks is only 170 miles, but beyond each boundary is a world of discovery and adventure. A little less than 140 miles northwest of Bishop is Yosemite Valley where, in one of our nation’s oldest parks, the immense granite walls and giant sequoias rise to meet the heavens. Furnace Creek, just a little over 160 miles southeast of Bishop, sits at 198 feet below sea level in Death Valley National Park and has the distinction of being the hottest recorded place on earth. Visiting both these parks in one day would be a bit beyond the realm of earthly possibility. However, the timing of these 100th birthday celebration ‘free entry’ days is practically perfect. Yosemite NP = late spring, summer, and early fall. September 24th in Yosemite Valley should be heavenly. Death Valley NP = late fall, winter, early spring. November 11th at Furnace Creek will feel much more like heaven than well … Hades. On June 30, 1864 President Abraham Lincoln signed a bill granting Yosemite Valley and the Mariposa Grove of giant sequoias to the State of California. The bill stated, “for public use, resort and recreation,” and the two tracts “shall be inalienable for all time”. The federal government had, for the first time in history, set scenic lands aside purely as a means to protect them and allow for their enjoyment by all. Twenty-six years later, on October 1, 1890, an Act of Congress designated Yosemite National Park as the third national park in the United States, after Yellowstone (1872) and Sequoia (1890). 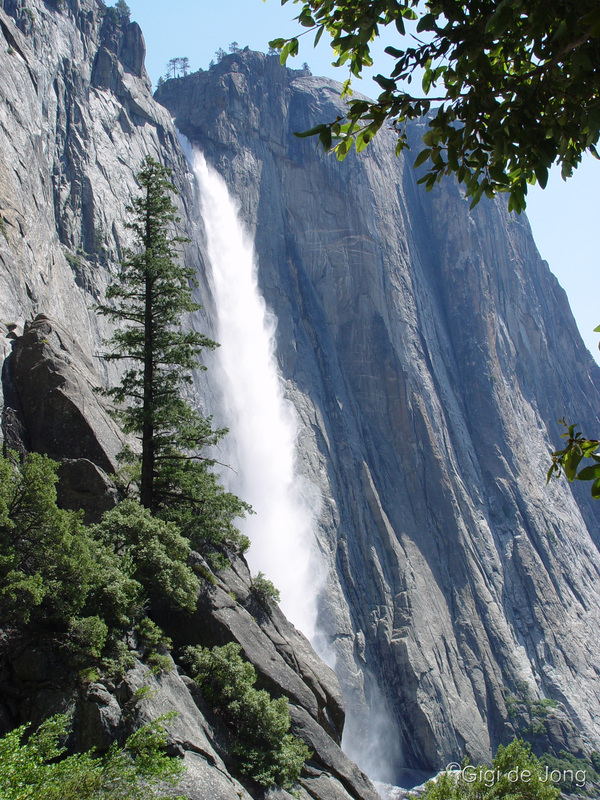 Yosemite is best known for the towering granite cliffs, tall waterfalls, clear streams, giant trees and abundant fauna and flora. Most visitors spend their time within the seven square miles of the awe-inspiring Yosemite Valley, but the park covers almost 1,200 square miles. Ranging in elevation from 2,127 to 13,114 feet above sea level (ASL) the park contains five major vegetation zones: chaparral/oak woodland, lower montane forest, upper montane forest, subalpine zone, and alpine. Of the 7,000 native plant species in California, more than 20% are found in the park. It is considered one the largest and least fragmented habitat blocks in the Sierra Nevada. 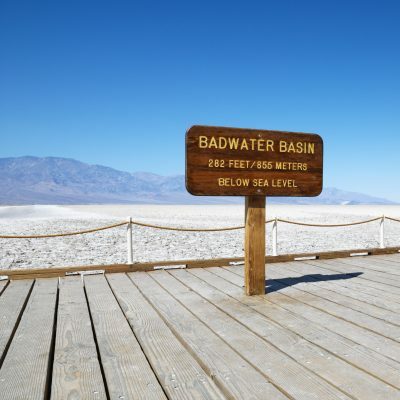 This is the hottest, driest and lowest National Park in the country. Badwater Basin at 282 feet below sea level is the lowest point in the contiguous US. As startling as this is, being almost 200 miles as the crow flies from the nearest coast, the fact that the highest point in the contiguous US, Mt. Whitney (at14,505′ ASL), is only 85 miles away makes this the greatest elevation gradient in the contiguous US as well. 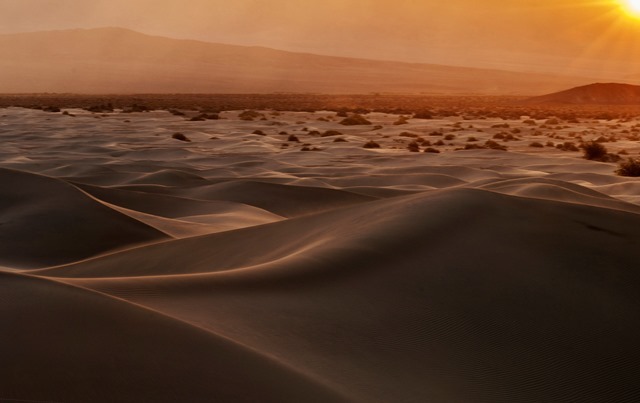 Established as a National Monument in 1933, Death Valley was designated as a National Park in 1994 following major expansion and now covers an area of over 5,200 square miles. It is the largest National Park on the continental US. Its rather gruesome name belies the fact that it sustains a great diversity of life. While many of these life forms are small and rare, all are hardy and exist in specific regions of the park where habitat is suitable. Within the various vegetation zones larger animals such as coyotes, bobcats, kit foxes, cougars, mule deer and bighorn sheep are not quite as numerous as the smaller species. Where water is available, vegetation is usually in abundance and the park sustains 51 species of native mammals, 307 species of birds, 36 species of reptiles, 3 species of amphibians and 2 species of native fish. In 2013, the International Dark-Sky Association designated Death Valley National Park as a ‘dark sky park’. It is here that the heavens are a truly spectacular nighttime feature. There are more than 400 parks on the roster of the National Park Service and only 124 normally charge an entrance fee. The fee-free days at these parks provide a wonderful opportunity for visitors to come see a new place or visit an old favorite. According to the NPS the fee waiver includes entrance fees, commercial tour fees, and transportation entrance fees. Other fees such as reservation, camping, tours, concession and fees collected by third parties are not included unless stated otherwise. Fee-free days make parks accessible to more people. However, national parks are always economical, with entrance fees that range from $3 to $30. In addition, any fourth grade student can get a free annual pass through the Every Kid in a Park program, and active duty military and citizens with a permanent disability can also get free passes. For more information about the variety of discounted passes available, visit the America the Beautiful National Parks and Federal Recreational Lands Pass page. 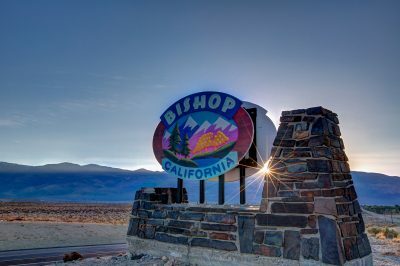 Situated in the Owens Valley on scenic US Highway 395, Bishop is more than just a pit stop on the Aastside. Our big backyard has an abundance of exciting adventures just waiting to be experienced. There’s something to do here year-round, with easy access to so much of our nation’s cultural and natural heritage. 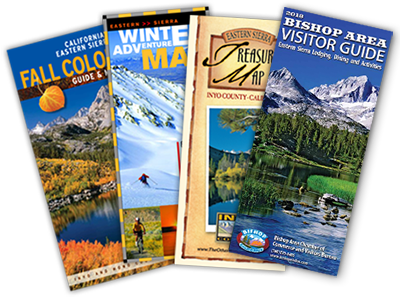 Stop by the Bishop Visitor Center at 690 N Main St and find out more about the National Parks and other great places to visit in and around Bishop. Whether you roam nearby or range far afield a little slice of heaven is closer than you think.